As dental attorneys and advisors in Columbus, Ohio, Nardone Limited regularly assists our dental clients with their various business, financial, and tax needs. Whether you are a recent dental school graduate looking to secure your first associate dental position or an experienced dentist buying and selling established dental practices, it is imperative that you make well-informed financial decisions throughout your career. One aspect of our services includes working alongside our dentists and their other professional service providers—e.g., accountants, financial advisors, insurance brokers—to ensure the dentist’s financial well-being. This blog focuses on recently graduated dentists and the financial considerations that confront them upon graduation. Congratulations, you studied hard your entire life and got accepted into dental school. That is awesome. Four years later, however, you graduated dental school and are ready to sign your first employment agreement as an associate dentist with your ideal dental practice. There is a good chance that your much-anticipated income will allow you to live a lifestyle very different than that which you lived the past eight years. But, please be aware, there are certain financial pitfalls that await you. Twenty years from now, will you be that well-positioned and financially secure dentist that made the right financial decisions early on, or will you be the dentist struggling to afford your lifestyle and still recovering from your poor early financial decisions? 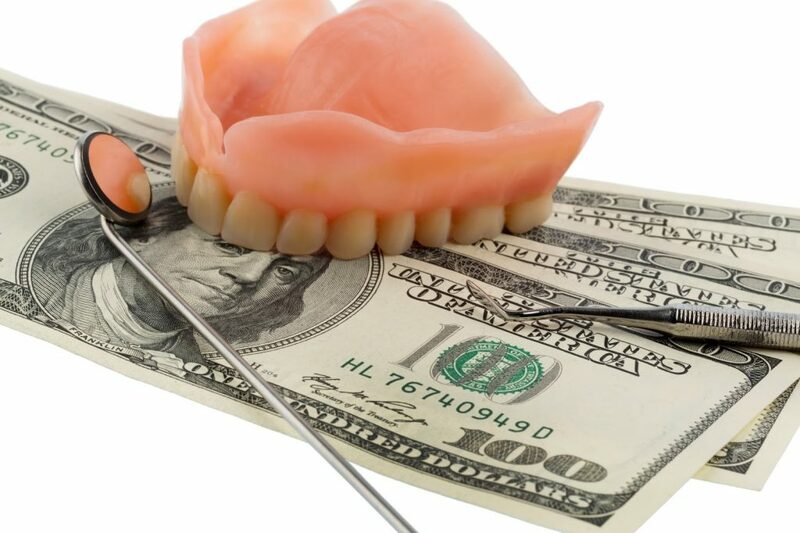 Here are five common financial mistakes made by young dentists. The average dentist graduates dental school with around $300,000 of dental school debt. This debt is in addition to the debt accumulated during the dentist’s undergraduate education. Depending on a dentist’s undergraduate loans, a dentist’s total student loan debt after dental school can be staggering. This alone makes a young dentist’s early debt management even more important. For many young dentists, that first paycheck is a license to spend. It is okay to treat yourself for all the hard work, but you should do so in moderation. Go ahead and ditch that car you have driven since high school, but do you really need to replace it with a 2019 BMW? Probably not. There are plenty of more economical vehicles to choose from. Frivolous spending like this is just one of the many decisions made that can add unnecessary debt and can cause financial difficulties down the road. Compounding matters, many dentists graduate from dental school at an age where many of life’s other events take center stage. Many dentists begin their career at a time where they also find themselves focusing on marriage, buying a first home, and even starting a family. All of this requires the dentist to acquire additional debt, including a mortgage, personal loans, and high interest credit cards. Without proper consideration, a young dentist can quickly pile on debt that follows them throughout their career. Also, without proper financial guidance or planning, a young dentist could end up making extra payments on a low interest rate mortgage, rather than making those extra payments on their high interest rate student loans. According to the American Dental Association, the average dentist now retires at age 69, which is up from 65 back in 2001. A main contributor to this increase in retirement age is the dentist’s lack of savings. Specifically, a young dentist’s failure to consider their retirement early on, often results in them living beyond their means from the day they receive their first paycheck. Many professionals recommend saving at least 20 percent of your monthly income, but some suggest that this number should really be 30 to 40 percent for multiple reasons. First, dentists are high-income earners and therefore usually have a higher standard of living. This requires additional savings for the dentist to maintain the same standard of living post-retirement. Second, dentists begin earning income much later than their peers. Many dentists are almost age 30 before they ever have an opportunity to earn a significant income and begin saving. Establishing a budget early on allows a dentist to live within their means and is a critical part of a dentist’s savings plan. The time and financial investment required by a young dentist before they even enter the exam room is substantial. It is only natural then that a dentist seeks an appropriate return on investment. This return on investment often comes by way of salary and compensation, but that should not be a dentist’s only employment consideration. There are many other important benefits that a dentist should consider when reviewing an employment opportunity; including, whether the practice will help pay for professional liability insurance and other types of insurance (e.g., health, life, and disability), continuing education expenses, dues and membership fees, and marketing and business expenses. It is also important for a dentist to consider the practice’s vacation policy, both the amount of vacation time and whether the vacation is paid or unpaid. Most in-line with this article’s theme, a dentist should strongly consider the practice’s retirement benefits. Specifically, what contribution the practice is willing to make towards a dentist’s retirement plan. Strong retirement benefits are an important factor in a dentist’s future financial well-being. Another, less considered, benefit sometimes presented to a young dentist is an opportunity for early practice ownership. Some practices will offer a dentist equity in the practice in lieu of a higher salary and other fringe benefits. Although practice ownership might not have the initial appeal that a higher salary and other benefits have, practice ownership is an opportunity that should not go unconsidered. Not only are dentists generally underinsured, but many dentists are not investing in the right types of insurance. This is critical to the financial security of the dentist’s family. A young dentist should start off right by investing in insurance that covers their family in times of illness and need. Good insurance investments include, but are not limited to, malpractice, liability, disability, term life, and other umbrella policies. But beware, often a dentist is sold on a whole life policy that forces the dentist to pay high premiums—which increase as the dentist ages—when this money could be better invested elsewhere, such as paying down student loan debt. Finally, a dentist often makes a common mistake that encompasses all the issues above. That is, a dentist often does not engage adequate business and financial advisors. A dentist would not expect a patient to see someone without a D.D.S. or D.M.D. about a toothache, would they? So, why should a dentist settle for just any advisor for their business and financial needs? As one professional put it, find an advisor that provides “good advice at a fair price” and who understands the “unique financial situations” dentists face. It is important to find financial advisors that adhere to a fiduciary standard. It is also important that dentists establish relationships with like-minded and well-educated advisors. Dentists should look for professional designations like a JD, CPA, CFA, CFP, AIF, and Series 6 and 7 holders when considering an advisor. If possible, a dentist should engage advisors with experience advising dentists and other medical professionals. The financial life of a young dentist can be complicated, but it does not have to be. The attorneys and advisors at Nardone Limited can help. Our unique experience working with both young and experienced dentists provides us with that unique understanding of your career within our respective legal and advisory profession. And, if there is an area that we are unable to assist you in, we can direct you to others in our vast network of professionals who also regularly serve dentists. What is most important is that you, a young dentist, realize that it is never too early to start planning for your financial future.